Travelers are increasingly concerned with the impact they are having in the destination they are visiting. On Catalina Island, giving back is easy, thanks to the wealth of non-profits dedicated to the island and to the people who live and visit here. 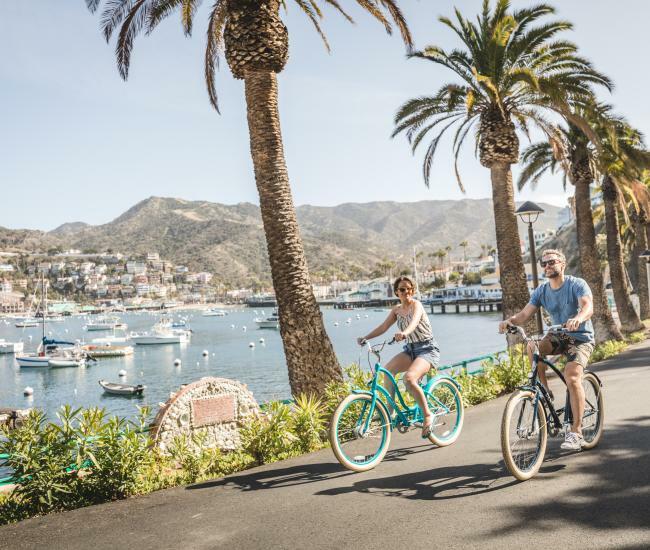 Here are 12 ways to give back while visiting Catalina Island. Catalina Island Conservancy: This non-profit is the reason the majority of Catalina Island remains an undeveloped wilderness rather than a sea of condos and resorts. Founded in 1972 by P.K. Wrigley’s gift of 88 percent of Catalina Island, the Catalina Island Conservancy will preserve and protect the island in perpetuity. Island lovers can help support the Conservancy by becoming a member, taking a Jeep Eco-Tour, attending April’s Conservancy Ball or by taking a volunteer vacation. Catalina Island Medical Center Foundation: Each year this non-profit provides tens of thousands of dollars to the island’s only hospital, which serve both visitors and locals with emergency and routine care. In addition to an annual campaign, the foundation hosts the popular An Evening With Oscar event in the Catalina Casino Ballroom as well as the Avalon Home Tour each fall. Catalina Island Museum: Thanks to its wide array of programs and events – not to mention its intriguing gift store – giving back at the Catalina Island Museum is easy. The museum’s monthly First Fridays programs offer an opportunity to take a deeper look at a number of cultural topics; annual events, such as the Silent Film Benefit, provide an intriguing excuse to contribute; and the museum itself is a can’t miss attraction for every visitor. Plus memberships – with generous privileges – are offered at several levels. Four Way Test Enterprises: This business, inspired by Newman’s Own and named after Rotary International’s Four Way Test, donates all proceeds to charity. Founded by four friends, the company operates CC Beau Deli and Bloom Floral Design and has created delicious Buffalo Balls high-protein trail snacks. Catalina Art Association: Best known for September’s Catalina Island Festival of the Arts, the art association is one of the island’s oldest non-profits. 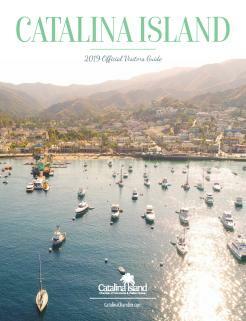 It also organizes the Catalina Island Spring Art & Craft Festival and hosts monthly art workshops throughout the year. Friends of the Avalon Library: This non-profit provides funding for the Avalon Branch of the Los Angeles County Library. Thanks to that support the library is able to offer a number of programs for kids and adults. 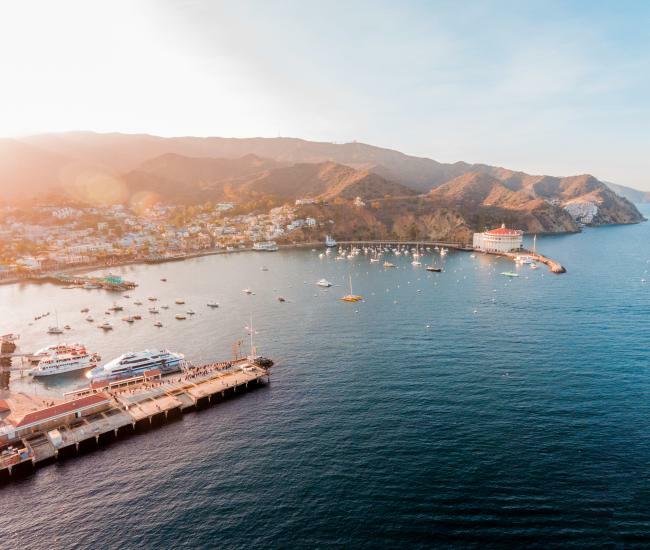 The Catalina Island Chamber of Commerce and Visitors Bureau: Much more than just a business organization, the CICCVB serves hundreds of thousands of visitors each year, providing information, answering questions and helping create perfect Catalina vacation experiences. Each year, thousands celebrate New Year’s Eve in the Casino Ballroom at the chamber’s New Year’s Gala. The organization also organizes the popular Shop Catalina and Taste Avalon events. The Avalon Diving History Exhibit: Peer into the history of scuba at this extensive collection of dive gear located at the bottom floor of the Catalina Casino. Owner Jon Council’s collection offers a rare look at the evolution of the sport and presents an opportunity to support his other project: rescuing marine life through the Marine Animal Rescue Program for Catalina Island. Service clubs: Catalina Island hosts chapters of both Rotary International and the Lions Club. Visiting members are welcome at meetings and both organizations raise thousands of dollars for the community each year. Avalon is also home to the Catalina Island Women’s Forum, a non-profit that provides scholarships and mentoring to high school students as well as support for victims of domestic violence. Each September, the Women’s Forum Wine Festival raises funds and attracts wine fans from both the island and the mainland. Catalina Chimes Tower Foundation: Perched high above Avalon Harbor, Chimes Tower and its melodic chimes have been part of the fabric of Avalon for nearly 100 years. The Catalina Chimes Tower Foundation is raising money to renovate, restore and preserve that legacy for the next century. Catalina Film Institute: For decades, Catalina Island’s history has been entwined with Hollywood’s. Each fall, the Catalina Film Festival pays homage to that connection, honoring filmmakers and celebrating the media with a week-long festival that takes place both on the island and the mainland. 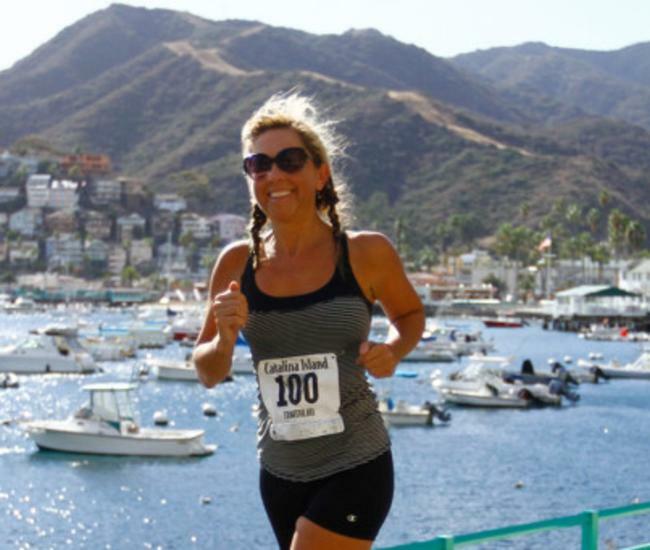 Catalina Island Foundation: This foundation supports dozens of small community organizations and programs, primarily for local children, including scholarships, health initiatives, sports programs and substance abuse education. Donations can be made directly through the organization.